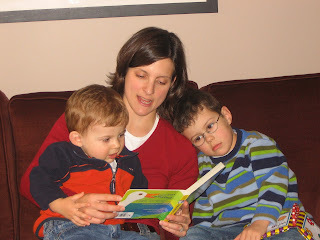 In my mind, reading aloud with your children is one of the best gifts you can give them. 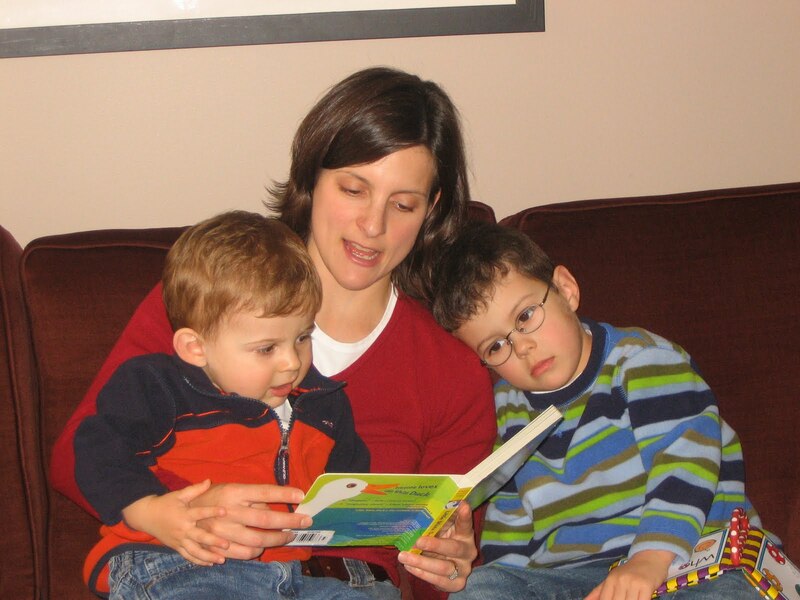 Sharing books provides young ones with rich language experiences, with opportunities to explore new ideas and use their imaginations, with a perfect moment for a snuggle or a laugh or a meaningful conversation with Mom or Dad. What a great way to show your children you care about them! Today in A bookworm's breakfast, I'm featuring some fantastic books that I've really enjoyed sharing aloud with my two boys. Gerald the Elephant is careful and worries about things, while his best friend Piggie is cheerful and at ease; when they're together these chums have highly entertaining adventures. In this book, Gerald is distressed to learn that there are birds building a nest on his head, and it is up to Piggie to come up with a solution to this incredible situation. The story is told entirely through the simple yet hilarious dialogue between the characters, and Willems' expressive illustrations wonderfully communicate action and feeling. Young readers are sure to fall in love with Gerald and Piggie, and will want to read about their other escapades too, in books such as I Will Surprise My Friend and I Love My New Toy!. It's hard to imagine any 6 to 8 year old boy not being drawn to a character named "Stink"! When Stink Moody writes a letter to a candy company expressing his disappointment in their jawbreakers that don't actually break jaws, he's thrilled to receive a box of 21,280 jawbreakers in the mail for free! Thinking he's onto something, Stink gets caught up in a frenzy of sending and receiving mail. When he misses paying attention to one very important envelope, though, Stink comes to a valuable realization about what truly matters to him. McDonald writes a very appealing chapter book series with the Stink books. Many 6 to 8 year olds will certainly relate to Stink's relationships with his friends and with his older, moody sister, and will enjoy the entertaining incidents involving glow-in-the-dark pyjamas, fascinating pets, smelly sneakers and more. No matter what books you choose to share with your children this week, I'm sure they will treasure the time you spend reading with them.